View More In Piercing & Tattoo Supplies. PLEASE TRY TO USE PROFESSIONAL TATTOO PRODUCTS. This is BIGWASP Tattoo Needle Cartridges Version 2. Cartridges come with membrane to prevent ink leakage to the tube or machine. Semi transparent & bevil tips make it easier to observe the needle striking. Magnum cartridges come with close mouthed tips which can make needles strike more steady and grab more ink each time. 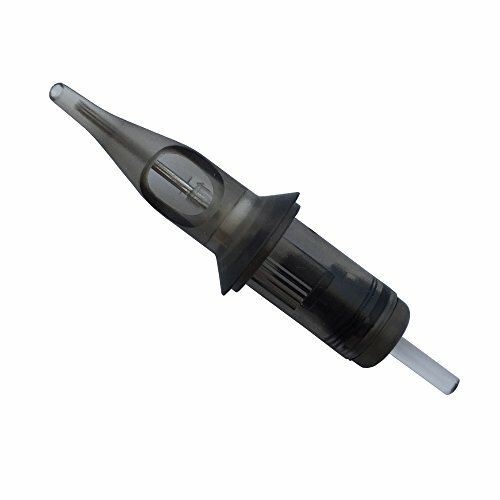 BIGWASP Tattoo Needle Cartridge Allows tattoo artists to set up needles and switch needle configuration very quickly during tattooing process. Compatible with All types cartridge grips & Hawk machines. No Allen keys required. Made of 316L surgical stainless steel and medical-grade plastic. E.O. sterilized and packaged in blister pack. Disposable single-use tattoo needle cartridges. We believe our products are the highest quality we can offer to our customers to help them achieve perfect results. Our "BigWasp Tattoo Needle Cartridge" are suitable for either the beginner, apprentice or the confirmed tattoo artists looking for higher - end tattoo supplies! Allows tattoo artists to set up needles and switch needle configuration very quickly during tattooing process. Compatible with All Rotaries/Coiled machine as well as Hawk machines. Ready To Use - Comes in Box of 20Pcs. If you have any questions about this product by BIGWASP, contact us by completing and submitting the form below. If you are looking for a specif part number, please include it with your message.